Julian was admitted to practice as a Solicitor in 1999 and became a Partner in April 2007. He is a specialist family lawyer who has an impressive track record in dealing with financial disputes arising on relationship breakdown/divorce. 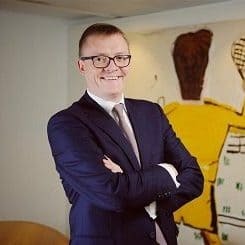 Julian is particularly keen to arbitrate in cases where no financial application has yet been issued but where voluntary financial disclosure has been provided and negotiations undertaken but a settlement has not been reached. 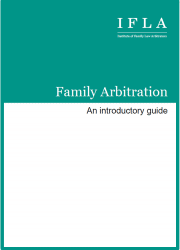 He sees Family Arbitration as an excellent way for litigants to resolve their disputes in a fair, quick and cost effective way thereby avoiding the months of delay (and associated cost) that many litigants regularly experience whilst being stuck in the Court system. 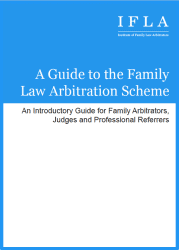 Julian believes that by arbitrating their dispute both parties will be able to resolve the issues between them in a way that will better enable them to move forward with their lives without having experienced the emotional and financial realities of litigation in the family justice system. He is willing and able to arbitrate in relation to limited matters at issue (on paper only if appropriate) and at a time and place that is convenient to both parties and their legal advisers. Fees are negotiable depending on the issues in the case.